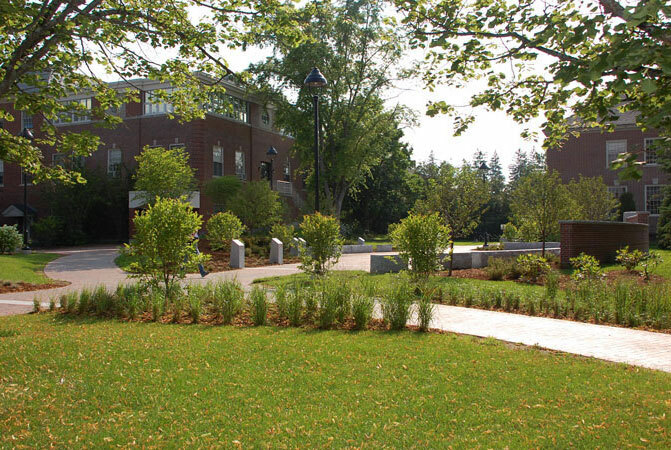 Martin Luther King and Coretta Scott King Memorial Plaza Working with the University of Maine community, Coplon Associates designed a contemplative space recognizing and interpreting Dr. Martin Luther King and Coretta Scott King’s leadership in the civil rights movement. 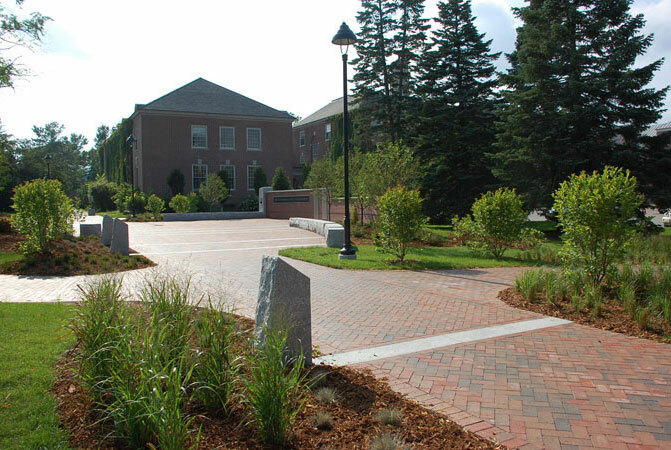 The plaza balances interpreting the Kings’ work with accommodating pedestrian circulation and gathering needs of the busy north entrance to the Memorial Union and Hauck Auditorium. 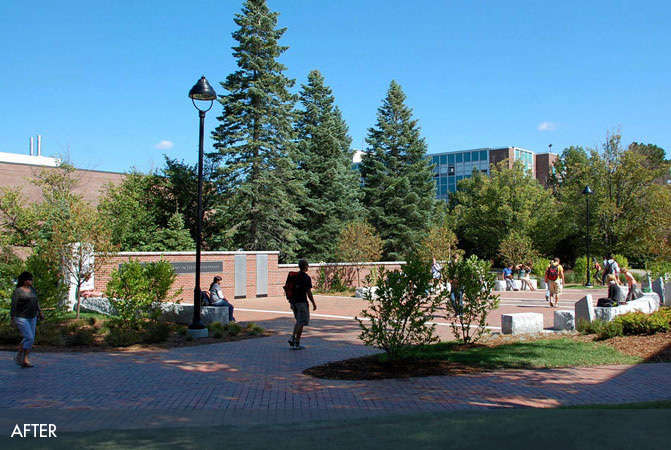 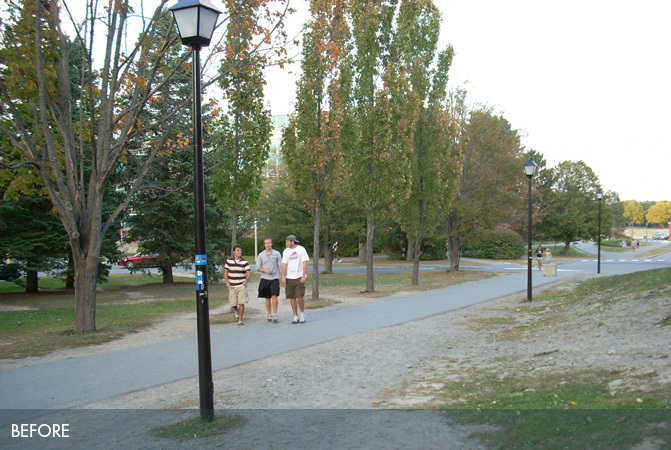 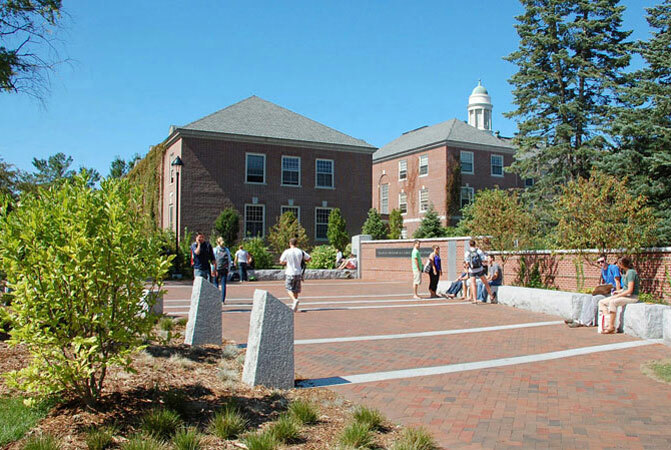 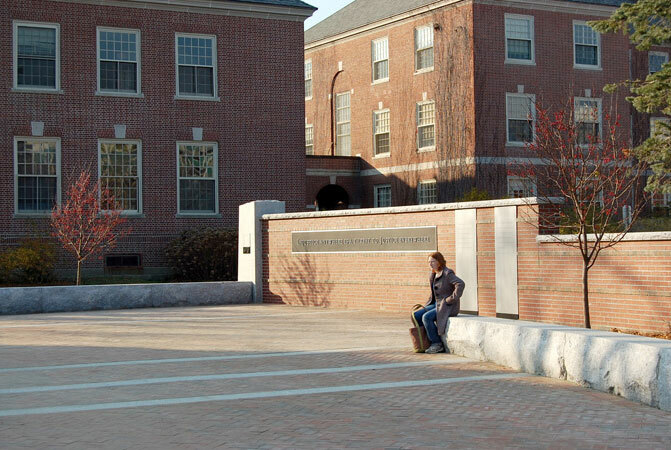 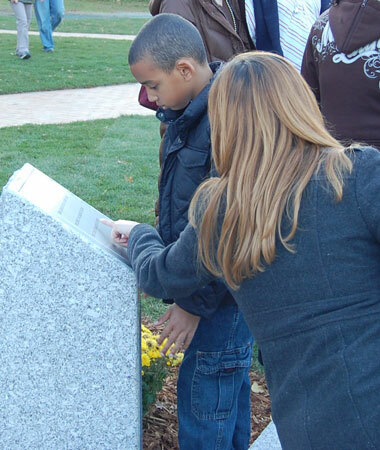 As an advancement of CA’s participation in the recently developed University of Maine Master Plan, the design features an inscription wall that defines the northern edge of the plaza and granite piers with passages from Dr. King’s work commemorating significant events in the civil rights movement. 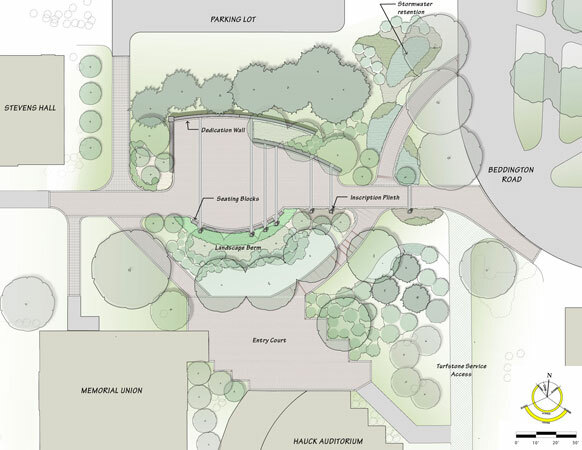 The plaza is edged by granite seating walls and landscaping, providing generous space for gathering, interaction and contemplation.